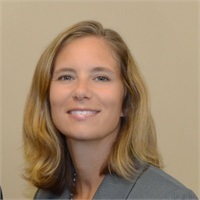 Stephanie began her career in 1995 at PNC Brokerage after graduating from the University of Pittsburgh. Since her first day, Stephanie had a passion for helping her clients and was quickly elevated to Vice President. "A person's financial situation and their personal life go hand-in-hand. I love working with people on a personal level. I know when their children are getting married, when they buy a new house and when loved ones die. My goal is to help them reach their families financial goals and plan for a better future."